The 2016 Democratic presidential candidate sought to clarify comments she made about how Europe could thwart rightwing populism by limiting migration. 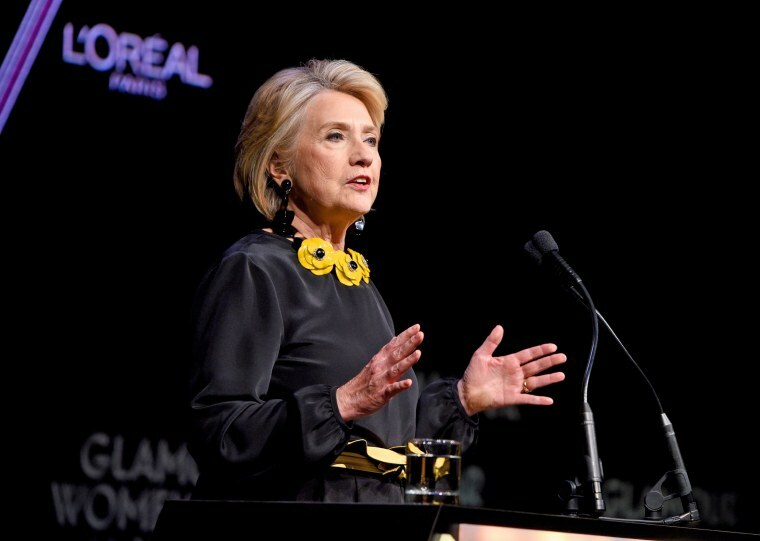 Hillary Clinton on Friday attempted to clarify her comments on European migration hailed by some on the far right, saying that immigration reform, "not open borders," is needed "on both sides of the Atlantic." “I think Europe needs to get a handle on migration because that is what lit the flame,” the 2016 Democratic presidential nominee told the Guardian newspaper in an interview published Thursday. Far right parties have used the issue in Europe to score several election victories. “I admire the very generous and compassionate approaches that were taken particularly by leaders like (German Chancellor) Angela Merkel, but I think it is fair to say Europe has done its part, and must send a very clear message — ‘we are not going to be able to continue provide refuge and support’ — because if we don’t deal with the migration issue it will continue to roil the body politic,” Clinton continued. While Clinton went on to criticize those who prey upon fear of immigrants, her comments earned her praise from some of her foes in Europe, which has been grappling with a massive influx of refugees from the Middle East. Between 2015 and 2016, more than one million migrants and refugees came to the European Union. “Maybe Hillary has understood the lesson,” Giorgia Meloni, the leader of the far-right Brothers of Italy party, told The New York Times. “If you don’t control migration it will affect mostly poor people, people living on the outskirts, working classes." In a series of tweets Friday afternoon, Clinton said, "In a recent interview, I talked about how Europe must reject right-wing nationalism and authoritarianism, including by addressing migration with courage and compassion." The "EU needs a more comprehensive policy that builds societies that are both secure and welcoming," she continued. In a recent interview, I talked about how Europe must reject right-wing nationalism and authoritarianism, including by addressing migration with courage and compassion. I also gave a comprehensive speech about this last month. "On both sides of the Atlantic, we need reform. Not open borders, but immigration laws enforced with fairness and respect for human rights. We can’t let fear or bias force us to give up the values that have made our democracies both great and good," she wrote. "Can't just keep doing the same things." In the Guardian interview, Clinton took a number of shots at how President Donald Trump has handled the issue in the United States. “The use of immigrants as a political device and as a symbol of government gone wrong, of attacks on one’s heritage, one’s identity, one’s national unity has been very much exploited by the current administration here," she said.